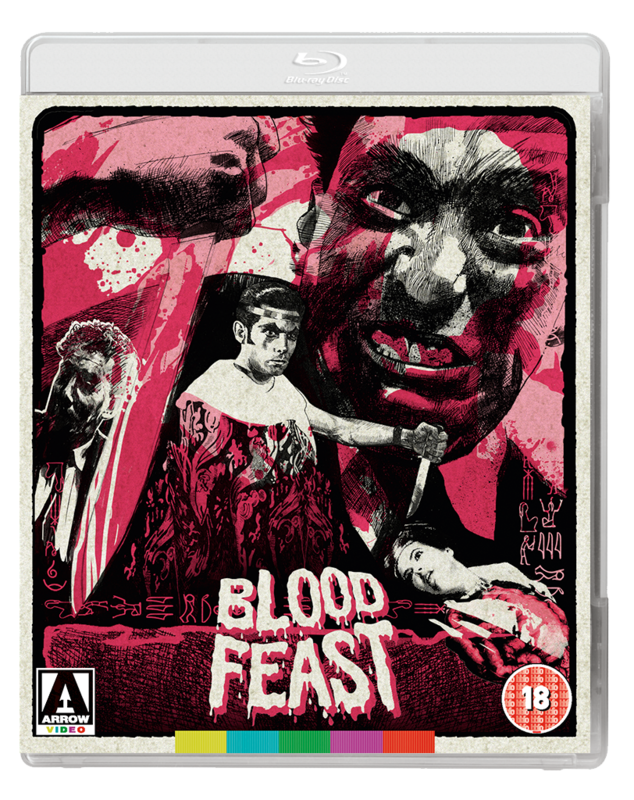 Arrow Video have released their schedule for October and it will be another month of DVD, Blu-ray and dual format releases. Below you will find the October 2017 release schedule for U.K., U.S.A. and Canada releases. 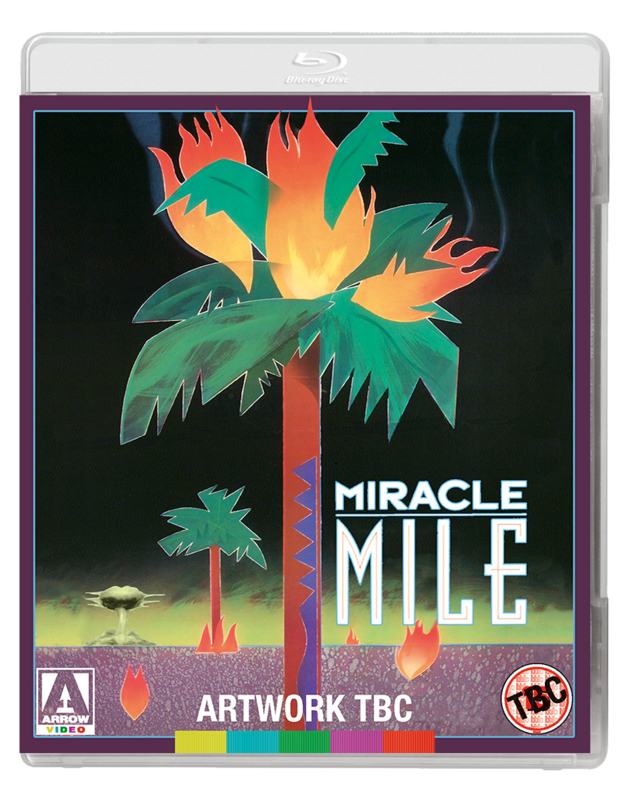 If you missed what Arrow Video released in September 2017 you can find all the details HERE. When Harry (Anthony Edwards, Zodiac, ER) meets Julie (Mare Winningham, Turner & Hooch) at the La Brea Tar Pits, it’s love at first sight. But when Harry’s alarm clock fails to go off, he misses their scheduled date by several hours. Alone on a street corner at four in the morning, he answers a ringing pay phone and picks up a garbled message that all-out nuclear war is set to begin in an hour’s time. With the clock ticking and the city spiralling into chaos, can Harry somehow track down Julie and get them both to safety before Armageddon? 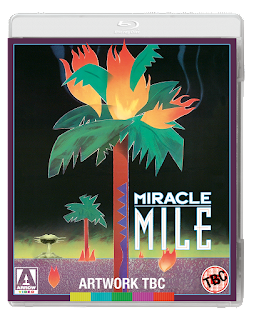 In 1983, American Film magazine called Miracle Mile one of the ten best unproduced screenplays, though Hollywood baulked at its idiosyncratic mix of black comedy, romance and nuclear holocaust. Years later, writer Steve De Jarnatt (Cherry 2000) bought back the rights to his own script and in 1988 made the film on his own terms. The result is a madcap end-of-the-world adventure like no other, as hilarious as it is disturbing, featuring scintillating views of nocturnal LA and a hypnotic score by Tangerine Dream. Three films from the late, legendary horror director, George A. Romero, showing that although he might have defined zombie cinema, it didn’t define him. There’s Always Vanilla, Season of the Witch and The Crazies, made between Night of the Living Dead and Dawn of the Dead, showcase the extraordinary versatility and dynamism of this irreplaceable American auteur. When George A. Romero passed away in July, the film world didn’t just lose its beloved ‘King of Zombies’, but also a groundbreaking and fearless innovator who inspired not only generations of genre directors, but also experimental and guerilla filmmakers for whom he laid down the template. The three films collected in this box set - two early Seventies ‘lost films’ and a classic plague panic thriller - show there’s more to the legendary director than simply gut-munching ghouls. The comedy romance There’s Always Vanilla, psychological thriller Season of the Witch, and infection horror The Crazies - all filmed in and around Pittsburgh - serve to display the broader thematic concerns and auteurist leanings of a skilled craftsman too often pigeonholed within the genre; that said, The Crazies is one of his strongest horror offerings, with memorable performances from Lynn Lowry and Richard Liberty. Romero managed to inject his films with subtle social allegories, nuanced examinations of the human condition, and just the right amount of black humour, so that they were immediately recognisable as his and his alone. 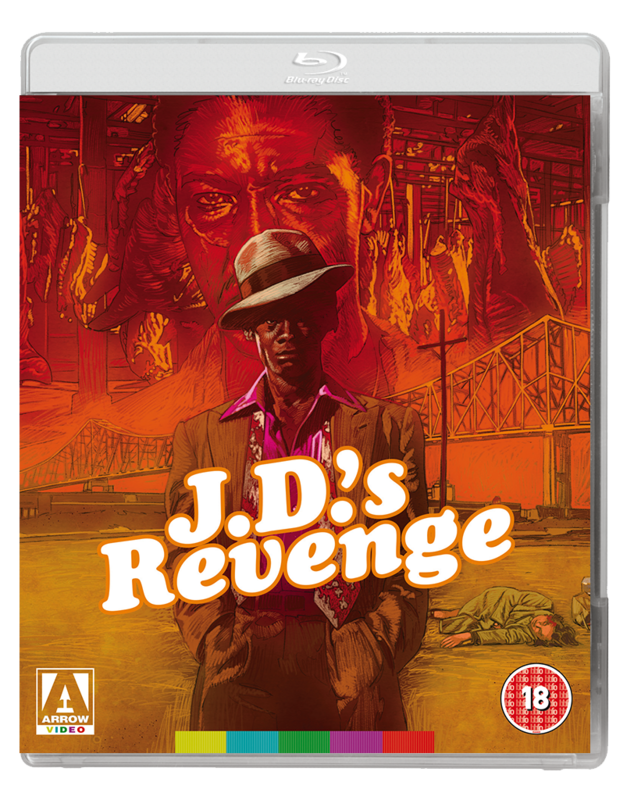 The box set showcases the director feeling his way towards the mainstream and showing a formidable assurance in three very distinct genres. This fantastic box set includes brand new restorations of the three films, a lavish 60-page booklet featuring new writing on this fascinating chapter of Romero’s career, a wealth of extras including interviews, featurettes and behind the scenes documentaries, reversible sleeves for all three films featuring original and newly-commissioned artwork, and a beautifully designed and striking slipcase featuring an iconic image of the man himself. 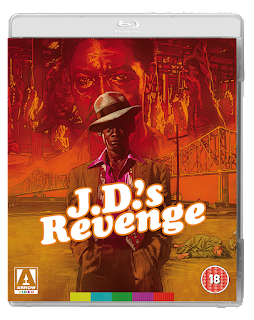 Directed by Arthur Marks (Bucktown, Friday Foster) and starring Glynn Turman (Cooley High) and Academy Award-winner Louis Gossett Jr (An Officer and a Gentleman), J.D.’s Revenge is a alternately tough and terrifying – a Blaxploitation gem waiting to be rediscovered! 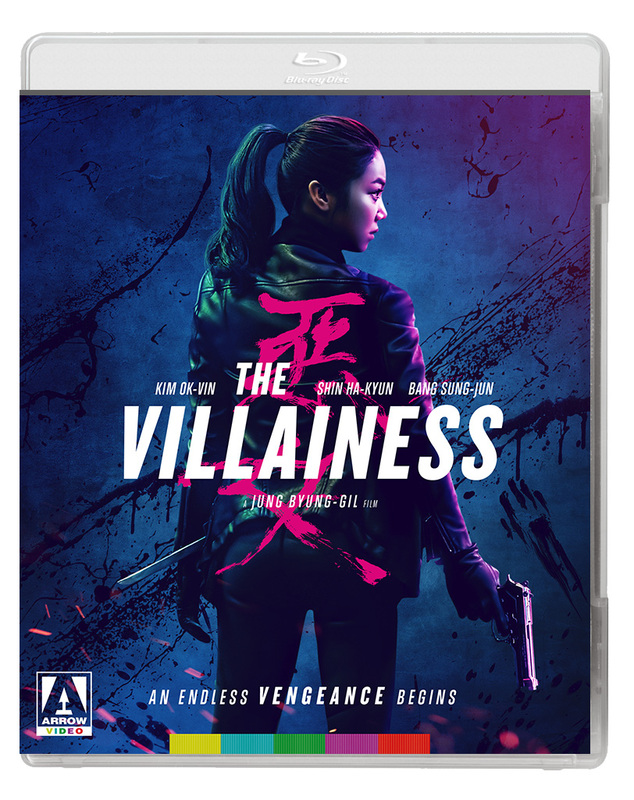 Exploding onto the screen in a kinetic flurry of hyper-stylised action, The Villainess is a stunning vengeance film that draws its inspiration from western classics including Nikita and Kill Bill. Deliriously indulging in the excesses of South Korean action, recalling Park Chan-wook’s Oldboy, The Villainess is a visionary new take on the neo-noir genre and an incredible thrill ride not to be missed.